US Senate Judiciary Committee Chairman Lindsey Graham called Monday for a new investigation in the wake of special counsel Robert Mueller's probe into the Trump campaign's alleged collusion with Russia. The new probe would investigate the 2016 Foreign Intelligence Surveillance Act (FISA) warrant against Carter Page, who was then a foreign policy advisor for the Trump campaign. "What I hope [US Attorney General William] Barr will do is, what I hope for the country's sake, appoint somebody outside of the current system into these allegations, somebody we all trust, and let them do what Mr. Mueller did," Graham said. Graham said that back in 2016, the Department of Justice and the FBI abused FISA to get a surveillance warrant against Page. According to the senator, the warrant was based on the notorious "Russian dossier" prepared by Christopher Steele, a former MI6 employee, on behalf of Fusion GPS, a private intelligence company. "The FISA warrant issued against Carter Page was based on a dossier prepared by Christopher Steele is at a minimum disturbing," Graham said. "Whether or not it is illegal, I don't know. So I'm going to get answers to this. No one seems to care; it seems to be only Republicans that do, and that's sad." "If the shoe were on the other foot, it would be front page news — the double standard has been striking and frankly disappointing," he added. Graham said he wants to know how much the Democrats paid Fusion GPS for the dossier and whether it was even verified before the FISA warrant was issued by the DoJ. The lawmaker speculates that the entire process was undertaken just to spy on the Trump campaign. "A counterintelligence investigation is designed to protect the entity being targeted by a foreign power," Graham said. "Was it a ruse to get into the Trump campaign? I don't know, but I'm going to try to find out." He noted that he has been calling for an investigation into the FISA warrant since 2017, but "nobody much appears to care." Now that the Mueller probe has revealed Trump and his campaign had no collusion with Russia, Graham hopes one "will find some interest now." According to the senator, "someone like Robert Mueller" would be a great candidate to lead the new investigation. 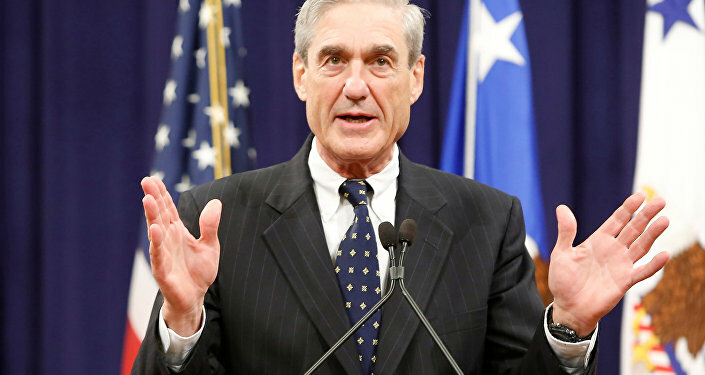 "There are some people that are never going to accept the Mueller report, but by any reasonable standard, Mueller thoroughly investigated the Trump campaign. You cannot say that about the other side of the story," the senator said. Currently, Justice Department Inspector General Michael Horowitz is investigating alleged misconduct related to FISA warrants delivered from the Foreign Intelligence Surveillance Court (FISC), Fox News reports. The status of the investigation, or a timeline of when the review will be complete, is unclear.